I took a break from working at Budget Video and stopped by Hiro's Yakkosan for some late night raw food. 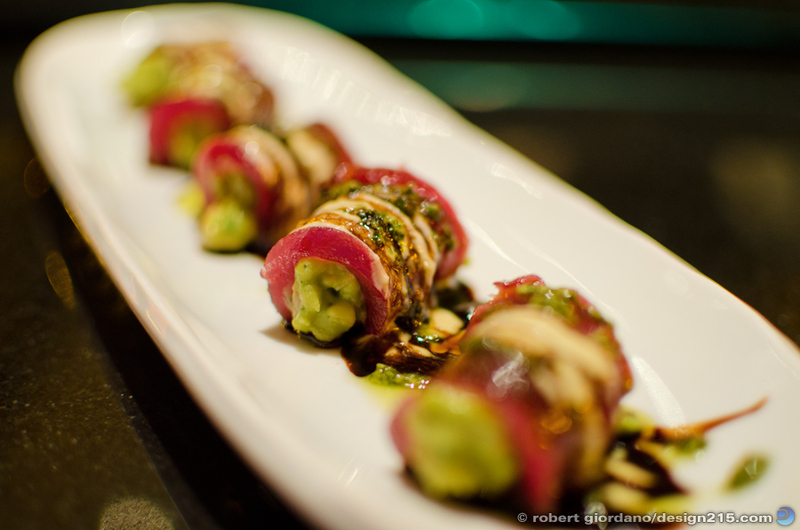 Hiro's isn't a typical sushi restaurant. It more of a Japanese tapas restaurant. I had a salad and the guacamole roll, pictured above. Notice there is no rice. Nom nom nom. 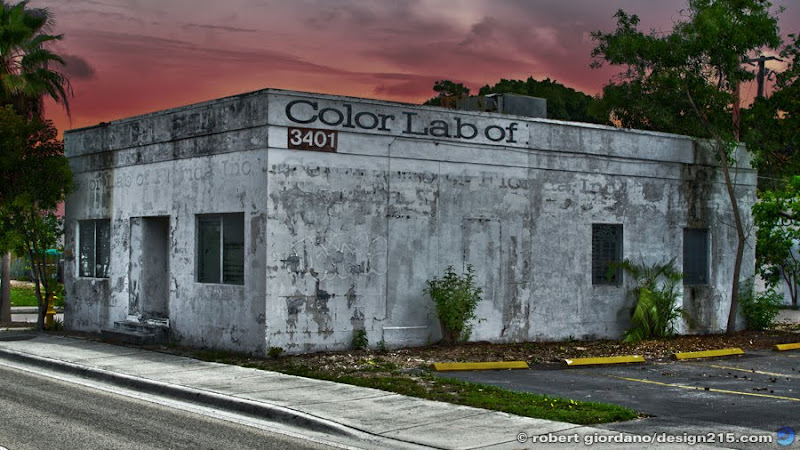 Once upon a time, before digital cameras, professional photographers in Fort Lauderdale would take their film to Color Lab of Florida to have it developed. Many photographers, including myself, loved to shoot transparency film, also known as reversal or "slide" film. You could get deep, rich colors with slide film that you couldn't get from color negative film. The process for developing color negative film is called C-41, while the process for slide film is E-6. Consumer photo labs like the ones in Wal-Mart or CVS only had C-41 machines because the general public didn't buy slide film. If you brought a roll of slide film to your neighborhood drug store, they would send it out to a lab. Professional photographers used to rely on local labs like this one to develop their film quickly. Many years have passed since Color Lab closed its doors, never to open them again. Today, the building still stands on Dixie Highway in Fort Lauderdale. Sometimes I miss shooting film but now I can use HDR techniques to create images that weren't possible with film. Nikon D7000 with a Nikkor 35mm f/1.8 lens. ISO 200. HDR processed.